Tucked next to French beans, Shishito peppers, and curly Chicory, Padrón peppers have made their late summer appearance. A product of Galicia, they’re a popular tapa lightly fried with olive oil and sprinkled with sea salt. 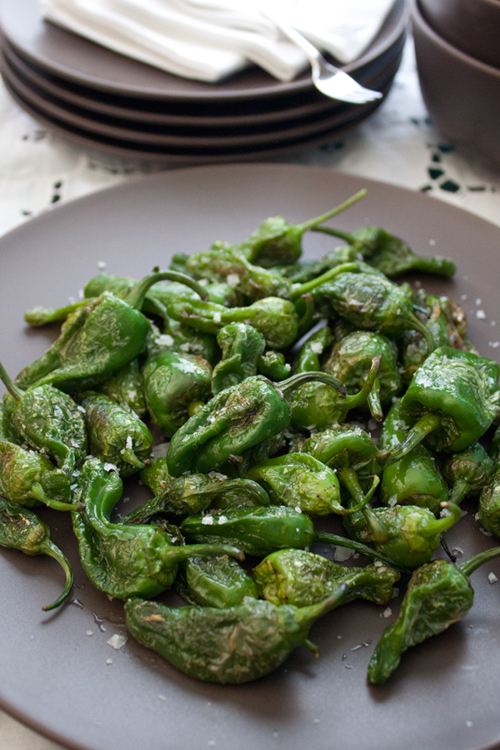 I hadn’t heard of them until I read José Pizarro’s Seasonal Spanish Food and recognized them as the compact and deep green peppers everyone crowds around during the short weeks they’re available at the market. With my current Spanish preoccupation, I thought it was time to try them.